Your Quince will love Portland Photo Party, the most advanced photo booth entertainment in Portland, Oregon. Our charming attendant will guide your guests into the booth and keep them entertained throughout your Quincenera party, as they come back for more fun, again and again (sessions are unlimited). Your crowd of excited teens, family and friend will particularly enjoy Portland Photo Party's live internet connection as they post their hilarious photos and videos to their Facebook page, Tweet them or send them to friends and family by email. And you'll appreciate this unique feature as well because it will allow your friends and family around the world who could not attend the chance to share in your celebration -- as it happens! 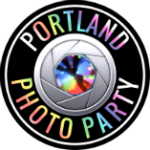 What's more, Portland Photo Party is the only photo booth rental in Portland offering video, too. Friends and family will enter the booth to record their loving personal wishes to your Quince. You'll capture loving voices that both you and your child will cherish for a lifetime. Ask about our economical Kids Pack designed for afternoon parties.